« Sending distant healing – do I need permission? A lovely lady I taught many years ago swore she hadn’t got an intuitive bone in her body and was very definite that she would never be able to do treatments based on her own feeling for the energy. I begged to differ and asked her to trust that this would come with practice. And, happily, it certainly did. She took to Reiki beautifully and worked with the energy as taught on my Reiki First Degree course – self treatment, energy exercises and treating a variety of friends and family. I was so thrilled when a year later at our Reiki Share, she demonstrated just how far she had come with her inner vision and sensitivity to picking up energy. We’d been doing a shared treatment on another student, and were all very merged with the energy of Reiki and the energy of the recipient. After a 20 minute session, we had the usual feedback to see what everyone experienced. This lady was explaining to someone who had only been attuned to Reiki the week before, how she ‘saw’ a large, blue glass curved screen floating over the heart of lady we were all treating, and that she felt that the lady had developed it over time for her own protection and safety. I saw it too, just as she described, and had the same impression. Apart from the fact that we both found seeing the same thing and getting the same impressions fascinating, (confirming that we were not mad or imagining it since we both saw the same thing), this just goes to show how much development can come simply by practicing Reiki regularly – by doing the daily Reiki meditation called Hatsurei and doing some regular treatments on self, friends and family. My student had grown so far in a year, way beyond her initial beliefs of what might be possible. What was beautiful about this story was that the lady she was explaining this to was completely new to Reiki, and in fact, was in the same situation that this lady had been in a year earlier. She couldn’t understand what we meant about “seeing”, and felt this would be way beyond what she might be capable of. If you feel as if you’re unlikely to have an intuitive bone in your body, I hope you will take heart from this story and trust the process to deliver, in it’s own time. And remember, in terms of spiritual development (with Reiki in your life)… what a difference a year makes! 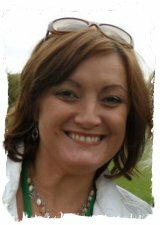 Louise Heseltine is one of the Reiki Evolution team of teachers, running live courses in Kent.. Louise began teaching Reiki in 2005 and has worked as a complementary therapist, offering Reiki, aromatherapy (Tisserand trained), reflexology and Indian head massage. She has 20 years experience working in the world of education as a primary school teacher, and is passionate about sharing her skills and knowledge with both children and adults alike. Louise also runs Reiki Retreats and has taken Reiki people to Egypt and run regular retreats to Spain to develop their healing skills. Her website can be found here: www.silvermoon.org.uk. Click here to ‘like’ Louise’s Facebook page! Thanks for sharing this Louise. I love to hear about other people’s development with the Reiki magic. I think it is a wonderful tool that has helped me in all aspects of my life and especially in my coaching work. Glad you found it of interest Kath – I’ve been watching Deepak Chopra on your homepage, he is such a treasure!! Love your picture on the webite – is that the British Museum steps?! I was there a couple of months ago with my class from school. Experiences such as the one you shared certainly will help those who are sceptical and doubtful that they will ever be able to learn Reiki. Tina will be doing a workshop at the Reiki gathering in October (on intuition) and I can’t wait for that event! Only 80 lucky people have got tickets as they sold out so quickly. LOVED THE PHOTOS LOUISE! You look fab my friend and so do the poppies…. Thanks Hannah – the picture of me was at the Fairie Ball in Melton Mowbray last year – a fundraising event organised by a friend for the charity Coping with Cancer. They provide complementary therapies on Tuesday afternoons at the Samworth Centre in Melton, including Reiki, and therapists can volunteer their services. I know a few folks connected with Coping with Cancer, both therapists and patients. It’s a very worthwhile cause indeed. Thanks for sharing that – you said I would find it interesting. I shall persevere and wait my moment!! Hoping you’re finding growth and development now Trish, keep working with Reiki and it’ll do what’s needed in time. Just to add although I know I am intuitive. Others make it clear to me, what I do not feel or know, for myself. That the work I do helps. And of course treating myself nourishes me more than I can find words for. Just mentioning this in case there are others out there who remain in the dark so to speak. It is worth remembering that we are all on unique channels and tune in to different waves. We may not feel, hear or see the waves. BUT we can trust that so long as we mean only good the connection is there and will flow. Rather like musical instruments, which make different sounds to make music.